Yesterday we had our annual Winter Weather Conference at OMSI. I think it was the 24th year! Wow, I’ve only missed one or two of those…I’m getting old. It was great to meet a few of you there and each year it’s fun to reconnect with previous coworkers or old competitors too. What a mild winter it was! Interesting to note that it pretty much acted like an El Nino winter (very mild with most action early on). It did so in the mountains too. 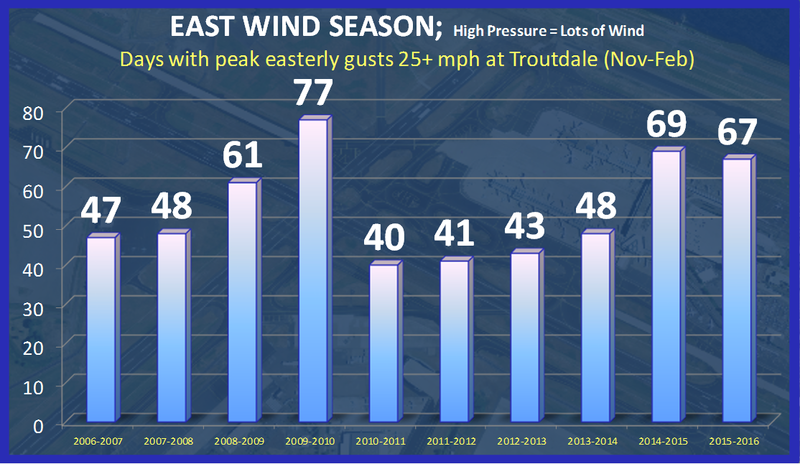 You want to stay up high in El Nino years and that was the case this past winter. 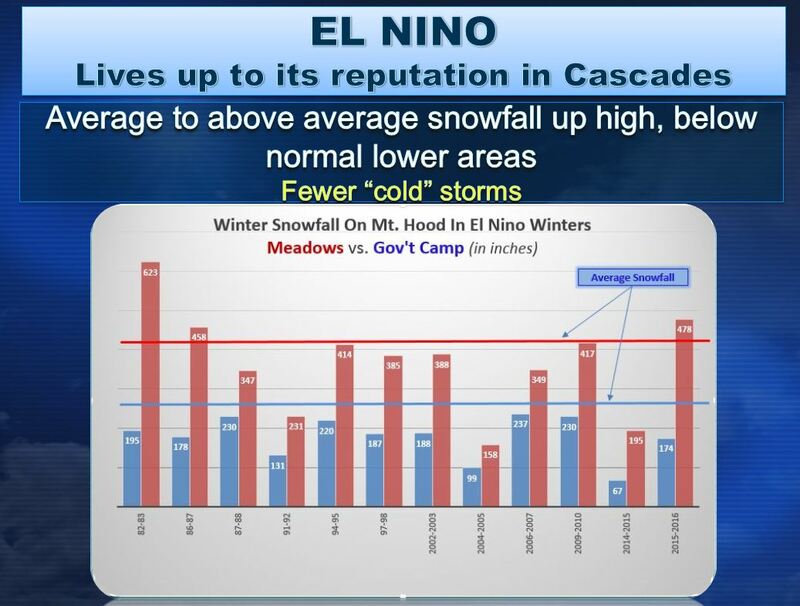 In fact no El Nino winter since 1970 has produced above normal snow at Government Camp! One could argue we’re due for a bigger year…or maybe we have another 1 or 2 duds still ahead the next two winters. It’s been 20+ years since we’ve had a winter with well below normal temps. There have been a few slightly cool ones, but you can see the gradual warm up and (almost) loss of occasional cold winters. Keep in mind that this is a collection of all climate sites in this zone, not just the 2 or 3 that would be influenced by urban heat island effects. I received an email a few weeks ago, it was circulating around a skeptic email list. It claimed our winters have been getting COLDER the past 10, 12, or 15 (not sure which) years. 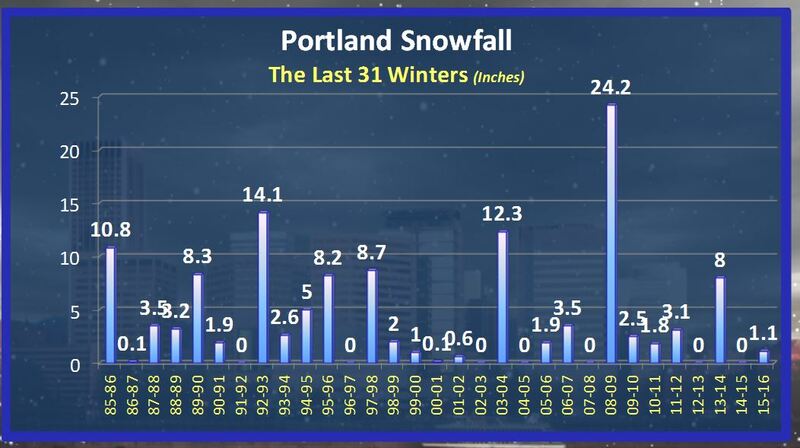 Well, the data they showed didn’t include the past two winters. That’s called cherry-picking. I’ve seen people do that to support all sorts of causes. It’s annoying. Late winter and spring this year was very warm, contributing to snow melt in the mountains about a month early. Note the thick blue line just dropping like a rock in late April and May, far faster than normal up at 5,400′. There you go. The weather remains quite mild for at least the next 7-10 days with plenty of rain still to go. I don’t see a stormy pattern through at least the first couple of days in November, although models are hinting at a stronger Pacific jet stream heading toward us about that time. We’ll see. 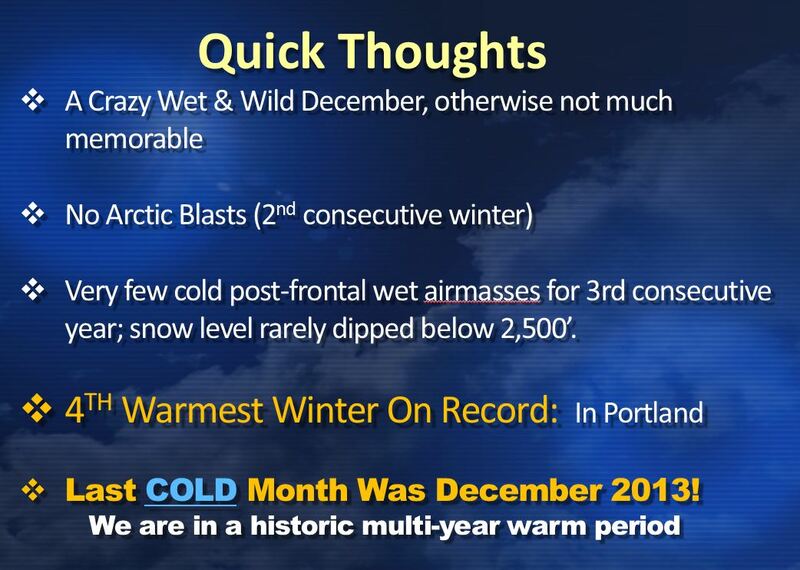 At some point this week I’ll post a few thoughts about the upcoming winter. This entry was posted on Sunday, October 23rd, 2016 at 8:42 pm and is filed under Weather. You can follow any responses to this entry through the RSS 2.0 feed. Both comments and pings are currently closed. I never pull for early season low elevation winter weather. 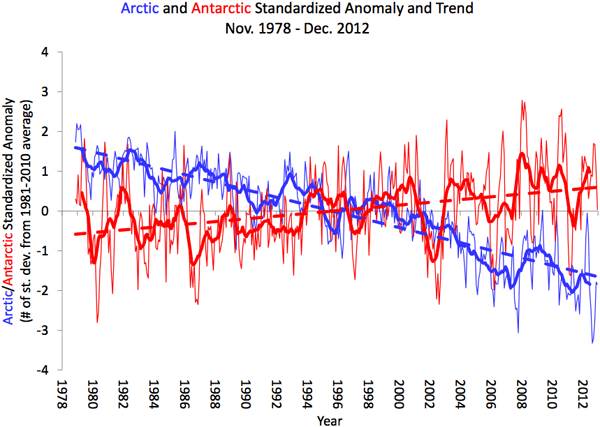 In those anomalous years, typically the winter prime time goes bust. Still, we are approaching the theoretical winter weather window so we’ll take what we can get! ALSO, while personally being a subscriber to “global warming”, it is interesting to me how we in our PNW marine climate seem to be getting more and more “Mediterranean like” while other climatic zones seem to be tending opposingly. I do (partly) get it about oscillation. Still interesting overall for sure! Mark, I hope you didn’t forget about posting your thoughts on this upcoming winter. Does this help you out? 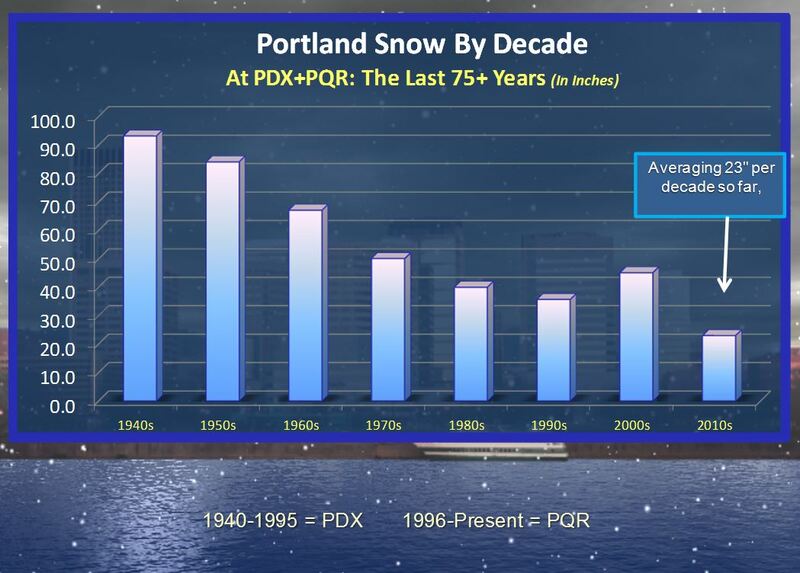 It’s a graph from Mark’s presentation from the Winter Weather Conference at OMSI. The east wind is one of my favorite things, so I always look forward to the late Fall and Winter months. As of noon 11.20 inches of rain this month. A new record. Old record was 11.17 in 1947. Should see at least 12 inches this month. That is more than 4 times normal. Glub glub glub. Peace. That is a ton of rain! 10.93″ at my place since October 1st. That’s as of last night, it doesn’t include the (probably) quarter inch that’s fallen today. Closing in on 8″ of rain for the month. What is the record again? Actually, changes in solar output CAN NOT completely explain the warming observed in the last century or so. It’s been well-known that carbon dioxide is a greenhouse gas ever John Tyndall discovered it is basically opaque to infrared radiation in the 19th century. You do realize that water vapor is also a greenhouse gas, right? And you also realize that water vapor is the most dominant greenhouse gas in Earth’s atmosphere, right?? It accounts for more than 60% of the observed warming over the last century, with almost 8 times the absorption rate of CO2. And you ALSO also realize that water vapor does not control the Earth’s temperature, but is instead controlled BY the temperature, right??? This is because the temperature of the surrounding atmosphere limits the maximum amount of water vapor the atmosphere can contain. If a volume of air contains its maximum amount of water vapor (100% saturation) and the temperature is decreased, some of the water vapor will condense to form liquid water (clouds), and will eventually precipitate out. The leading theory among scientists who share this line of scientific thinking is that an increase in temperatures (yes, primarily due to an increase in non-condensable greenhouse gases, i.e: CO2, CH4, N2O, and O3, as well as chlorine- and fluorine-containing solvents and refrigerants) is causing an increase in water vapor in Earth’s atmosphere. This will lead to an increase in worldwide cloud cover, which will reflect more solar energy (particularly IR) away from the surface, which will ultimately lead to a cooling cycle (Ice Age), and thus a reduction in water vapor. The unfortunate side effect of this is that these other, non-condensable greenhouse gases get scrubbed from the atmosphere through this process and end up in our oceans, altering the pH of the water, resulting in ocean acidification. This is all stuff that global warming “alarmists” are either unaware of due to the shortsightedness of their argument, cherry pick from in order to bolster their position, or they just flat ignore because of its inconvenience to their agenda. Of course. It’s why clear, dry airmasses tend to have the greatest temperature swings. But water vapor is mostly a dependent variable; it changes in response to how warm things are (warmer air can hold more water vapor). In fact, that positive feedback the reason it’s difficult to tell — beyond the basic fact that there will be some warming — exactly how much warming a given increase of CO2 will be responsible for. Methane is also a dependent variable; there’s lots of it sequestered as methane clathrates in the Arctic which could be liberated if that region warms. Most models haven’t taken that into account, meaning that we could be even closer to a drastic tipping point than we know. And none of this changes the basic fact that solar output alone cannot account for recent temperature increases. WOW! Look at you, Skootie!! You know how to copy/paste from the interwebz!!! Three well-known local climatologists presenting not just the “Science!™”, but the hard-core nitty-gritty mathematics, chemistry and physics behind it all. Pay particularly close attention to the second presentation by Chuck Wiese – Meteorologist and Climatologist. This conference is where I was introduced to these concepts, which piqued my curiosity and inspired me to delve deeper into and research this stuff for myself. If you want to knock that and call it “cherry picking,” that’s fine, but with my fairly sound knowledge and better-than rudimentary understanding of these three scientific disciplines, it only makes you look a fool, a clueless keyboard warrior. We can discuss further after you’ve taken the time to educate yourself with all 2-3/4 hours of this video. I expect a full summary and a bullet-pointed outline, with any questions you may have listed at the end. Dr. Wiese occasionally browses this blog, I’m sure he’d be happy to fill you in on any of the details you’re unable to wrap your head around. Another wet one for me. 1.10″ in the gauge so far today. I really wish I had been here all month and keeping tally; I must be getting close to the 10-inch mark for this month. And of course smoking doesn’t cause cancer the day after you smoke. The body has a way of healing itself for a while, then you hit a threshold. I don’t see our atmosphere being so unlike the human body in that respect. It will cover or mask the results of pollutants for a while. With billions of people contributing to pollution. . . . When you look at pictures of Earth from space, the atmospheric layer just isn’t that thick. Can’t imagine it keeping up and covering up forever. Simplistic overview but sometimes that trumps overthinking things. If your inability to comment on the appropriate post is an indication, your comment’s “substance” (if any) is suspect. I compiled a list of my top 10 warmest winters for the past 41 years(based on December to February mean temperatures). The last winter (2015-16) ranks as No.7. What was intresting is that the top 2 warmest winters (2014-15 and 1980-81) both were non-El Nino. Although the rest of the list (except for 1976-77) were. Roland you are right on the money El Niño played a huge role in the warmth the last two winters. The oppisite happened in Texas we were much Wetter and Colder than average. That helped us out of the 4 year drought with record setting floods and storms. The fronts are now back where their supposed to be out of a super strong El Niño back keeping Oregon green and Texas dry. We did have cooler summers during the El Niño. My best recollection of 2001 to 2012 years in Oregon was the constant fall winter rain with more rain in the spring. So what you are seeing now is normal Oregon weather. Nothing wrong with that! Thanks, JJ- although if you read my comment, I actually stated 2014-15 was a ‘non-El nino ‘ winter. However, if I’m misinformed, I’ll gladly accept the correction- I’m no expert in this area. Roland yes I do understand what you said but the weather pattern actually acted like El Niño was in place 2014 2015 here in San Antonio for some reason maybe the blob and blocking ridge helped that pattern. Oh man, I can’t believe how badly I wrote that last comment- it’s as if I was 13 again! That’ll teach me to slow down!! It seems like the overall AMS meeting consensus is that conditions may be generally favorable for low elevation snow a time or three this winter. I know Mark is usually fairly non committal in his long range views. Looking forward to whatever/how much he decides to render! There is always fluctuation in Nature. If not then animals and plants would not evolve and change over millennia. The fact is Earth’s climate has always changed. There is so many dynamics at play. The global warming crowd has an easy politically and financially tainted answer. But the truth is in an instant there could be an “event” that changes everything. To think that we can control what is gonna happen by reducing carbon releases is ludicrous. The Sun and its cycles plays more of a role than 1 million factories and 2 billion cars ever will! Oh boy, another great example of “Extreme Fuzzy Logic”, your children will resent the world you leave them. It is amazing that you have more wisdom, knowledge and credentials than the vast array of dedicated and educated scientists that agree on man made climate change. Don’t that Trump all! Good Day. The sun and its cycles and cycles beyond the sun must have a big role in climate variablity. But the massive addition of greenhouse gases and global deforestation that has occurred by us humans during the last century is no doubt adding fuel to the fire. Its measurable. Its observable. And that’s what science does. Nobody here gives a crap about the weather in southern Texas. Thanks. A lot of us do enjoy hearing first hand accounts about other climatic regions–and also appreciative of those–as yourself–who also follow ours. I do, especially since JJ used to be a fellow Dome dweller. Thanks fellow Dome Dweller. When I was living in Milwaukie this would be the time I would get my wood stove cooking. Looks like 60 degrees will gone shortly. we have another week of Weather Dan Weather before we head into the upper 70s. I always enjoyed the 80 degree family room heat from the wood stove in the fall! I’m going to Maui in mid-January. Record cold attic weather here in January, it happened in Jan. 2011 when I went last time. Came back home to 3″ of snow and temps in the teens when we got back home in the evening. Bound to happen again and we are due for a cold January snow event. 😆 spell check changed to attic instead of arctic… it tried again but caught it. Its all good, I think i had a cold attic that year as well. You can always drive up Haleakala and catch some winter weather on Maui if you need to! Looked over the patterns – do we get d or C this year? I wish I had been there. I would like to hear thoughts on Volcanoes on the weather here. Thanks! 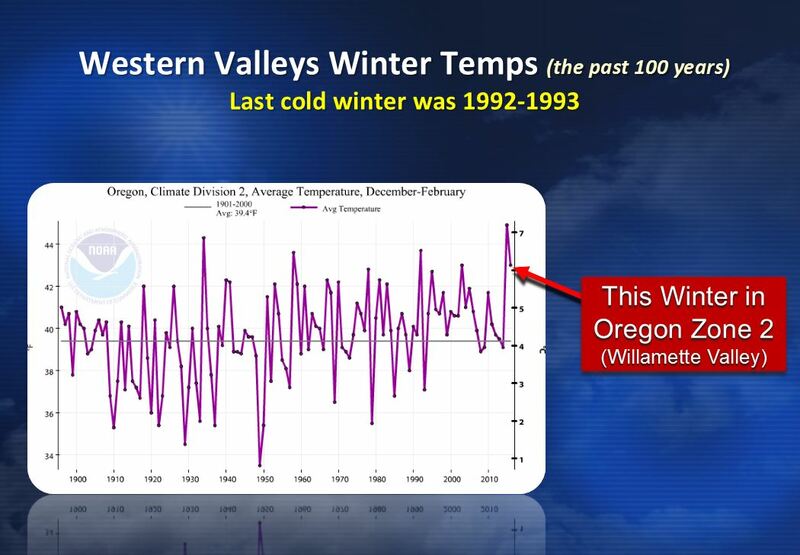 For me, the last truly “cold’ winter was 1992-93. That was the last time (I think) that our city officially allowed outdoor skating on the ponds and Lost Lagoon in Stanley Park. No winter since then has had long enough of a cold spell for that to happen. Winter 2008-09 had more snow, but not the persistent freezing temperatures. That was a cold one down here in Clackamas County, I had diesel fuel in cans out in the storage shed and the fuel jelled! I love reading your blog. I also live in Corbett and I was wondering if there are any statistics on how often the cold east wind blows each winter? This is the weather event that literally keeps me up at night. Wow! Incredible double rainbow currently visible over the metro area. Had a double rainbow in Hillsboro! Nice looking storm on the radar shot headed in! Book it, if we want snow head to the mountains where it belongs!!! My poin? We can cherry pick all day long. In 50 years we’ll likely see another cooling trend and science will be back to telling us (like I was taught was taught in he 70’s), that man is causing an ice age not a heat wave, and the cycle continues. I’ve become a cynic on this topic because there is so much game play going on. But I do love the weather and am grateful Mark doesn’t promote politics, but promotes weather. It HAS warmed. Alaska is seeing dramatic decreases in permafrost. The Arctic ice pack is trending much lower. Whether AGW or just a natural cycle (or a combination) the climate is warming and most dramatically observed in the northern regions. Not an opinion, proven fact it is. Except for those few in denial. The fact is that around 1970 there were 6 times as many scientists predicting a warming rather than a cooling planet. Today, with 30+years more data to analyse, we’ve reached a clear scientific consensus: 97% of working climate scientists agree with the view that human beings are causing global warming. Peter is correct. Warming has been observed on Mars, Jupiter, Pluto, and Saturn’s moon Triton — all at a rate that is concurrent with the warming observed here on Earth. This points to some form of external influence, most likely minute, (and probably cyclical) energy fluctuations in the Sun. These fluctuations can be seen in records of Solar irradiance going back more than 120 years. At the same time, while glaciers, snow pack and sea ice extent have been declining in the Northern Hemisphere, they’ve been increasing in the Southern Hemisphere — again, at the same rate — which results in a net-zero on a global scale. Nothing gained, nothing lost. This, based on NSIDC satellite measurements taken since 1979. As inconvenient as this may be, these are also facts. This morning must be a record warm low temp for the date. 58 at my place right now. 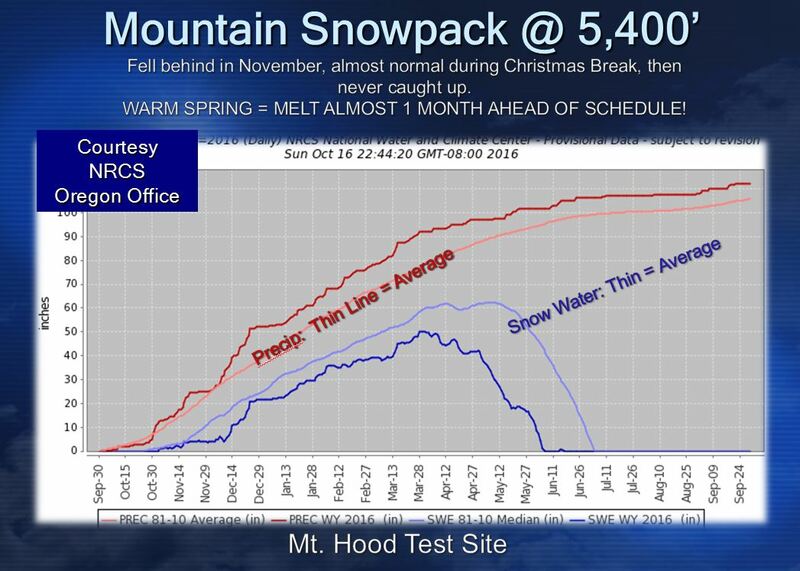 You noticed after a warm spring, the summer was fairly cool and the snowpack on Palmer held up all summer.